One of the strangest things about the fight against legalization of marijuana is, while they tend to paint marijuana as a serious threat to society in terms of crime, unemployment, and high school dropouts, these same people seem to have absolutely no trouble with people taking powerful opioid painkillers. Painkillers are very addictive, have a high potential for abuse, and can lead to serious health consequences, including overdose and death. One of the more powerful opioid painkillers is OxyContin, which is commonly referred to as “oxy” on the street. It comes in various doses starting at 5mg and going up to doses higher than 80mgs. There are even doses well over a hundred due to the high tolerance of some patients. If a person without such a tolerance took an 80mg pill, there is a fairly high chance of an overdose. According to a recent news feature from the Chicago Tribune, OxyContin has been responsible for nearly 200,000 deaths from overdose since it was first on the market in 1999. Medical marijuana, on the other hand, has been shown to work and is a viable alternative to opioid painkillers in many cases. However, marijuana is illegal under federal law, because it is on Schedule I of the United States Controlled Substances Act (USCSA) of 1970. To be on the highest schedule, a drugs is supposed to have a high possibility of abuse and addiction, be dangerous, and have no accepted medical uses. Despite the fact that marijuana is generally not considered capable of causing physical addiction, has many known medical uses, and is not considered dangerous, Congress refuses to de-schedule or even reschedule marijuana. 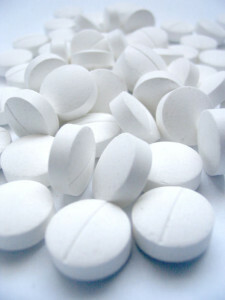 OxyContin, which has led to nearly 200,000 deaths, is highly addictive, and is responsible for crimes such as when a Massachusetts state trooper held up a pharmacy at gunpoint with his service weapon to acquire the drug; however, it is listed below medical marijuana as a Schedule II controlled substance. There are various medical conditions that doctors are treating with medical marijuana in place of opioids these days. This is especially true of conditions that cannot be cured with surgery or other medical procedures. While it is typically thought that medical marijuana was primarily good to be used as a painkiller and appetite stimulant for cancer patients on chemotherapy, now researchers are finding that medical marijuana can be a viable treatment option for patients who are in pain and do not have cancer. However, as Los Angeles medical marijuana collective attorneys can explain, it is very hard to do medical research on marijuana because of the federal prohibition. Even though the United States Drug Enforcement Administration (DEA) is considered loosening the restriction so more federally funded medical research can be performed, it is still largely illegal, and this is not helping things. It is essentially a catch 22, because the United States Controlled Substances Act said that marijuana has no known medical uses, but the same federal law prohibits most studies to determine safety and efficacy.